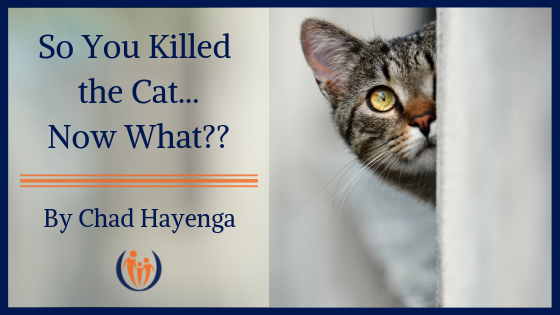 So You Killed The Cat….Now What? We received this question when a parent accidentally ran over the sleeping, aging family cat. What would you say if they asked you? I’m wondering if you can help me with an immediate issue. We have a 10-year-old son and 8-year-old daughter. We also had a beloved 14-year-old cat, Ginger, until this morning – when she was accidentally run over. (She was sleeping under the car in the garage.) The children were asleep so did not see or hear any of this. We’re struggling with whether or not we should tell the kids. One of us thinks we should never tell the children what happened and that the cat died of natural causes. One of us is conflicted about not being open but also doesn’t want to burden the children with this news. What would you recommend in this situation? As of now, the children know the cat died, but nothing about the accident. Great question! Tough situation for everyone involved. My initial response was to encourage not sharing the full story, kind of the “what they don’t know, won’t hurt them” philosophy. However, I think there are some opportunities in this situation for growth, transparency, modeling, and healing. There will probably be lots of tears. I’m sure the driver feels terrible about it. Emotions may run back and forth from anger to sadness. The bottom line for me is this: In challenging situations, you have a golden opportunity to help your children walk through difficult emotions. 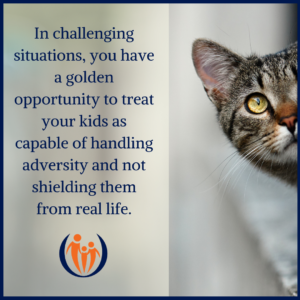 You have an opportunity to treat your kids as capable of handling adversity and not shielding them from real life. There is also a great opportunity to build empathy for whoever was driving and how awful that parent is feeling. If you do decide to tell, you need to be ready to allow the kids to have a range of emotions and validate their experience. Perhaps even a memorial service for Ginger? Hope these thoughts help. I’d love to hear what you decide and how it goes. Thank you so much for your thoughtful response regarding the situation with the death of our cat. Your words were instrumental in helping us decide what to do. We had a talk with the kids tonight. When we told them how the cat died, they were more worried about making ME feel better than what had happened to Ginger. Unbelievable – I’m so blessed. Thank you for all that you did to support us. Your words of wisdom and prayers and emails were so helpful. Also, I will be holding on to your advice as a reminder for how to handle future difficult situations with the kids. Thanks again! Your wise words were a huge blessing! The parents together gave the kids a loud and clear message: “Even when it’s hard, we’re going to tell you the truth!” The parent who ran over the cat spoke the truth to the kids and became the recipient of their mercy and grace. Proverbs 12:19 says, “Truth lasts; lies are here today, gone tomorrow.” In what ways can you encourage and be an example of truth-telling in your home? 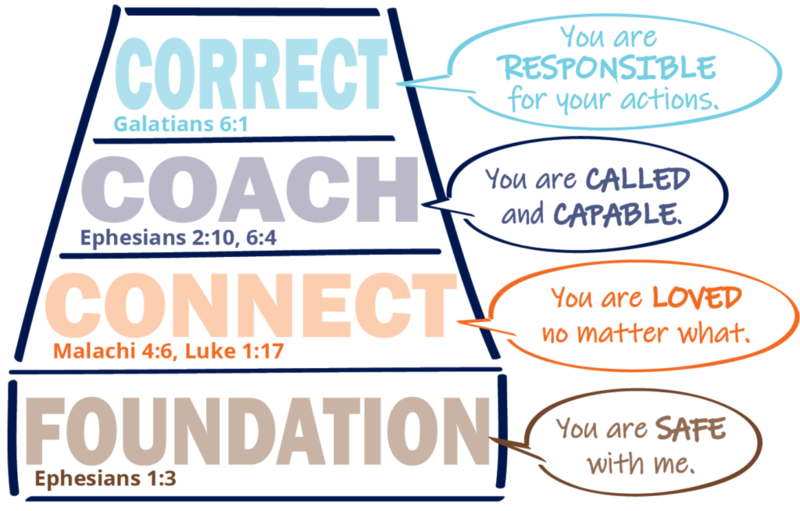 Want help implementing these principles with your family? Check out our coaching options!